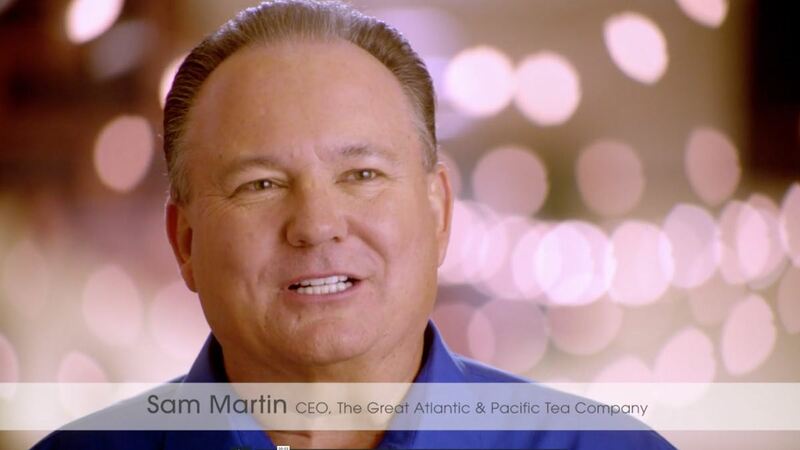 The Great Atlantic & Pacific Tea Company basically invented the concept of multi-unit retail. From one store in lower Manhattan, to literally thousands of stores coast to coast by early in the last century. The company innovated, creating its own products, operating a fleet of fishing boats in Alaska, creating Women’s Day Magazine, becoming the first advertiser in its category on radio and creating long-lasting brands like Eight O’Clock Coffee. But the company spent most of the last 50 years is state of slow decline, retreating back to its roots in the Northeast. And then, A&P sailed straight into the perfect storm: A faltering national economy and the company’s attempt to integrate the purchase of a regional competitor, Pathmark. Sales and profits were down. Morale was at an historic low. The company’s research clearly indicated that multiple shifts in pricing strategy and the reality of higher shelf prices were causing customer defection. And in qualitative research we heard on multiple occasions that the company just wasn’t listening. 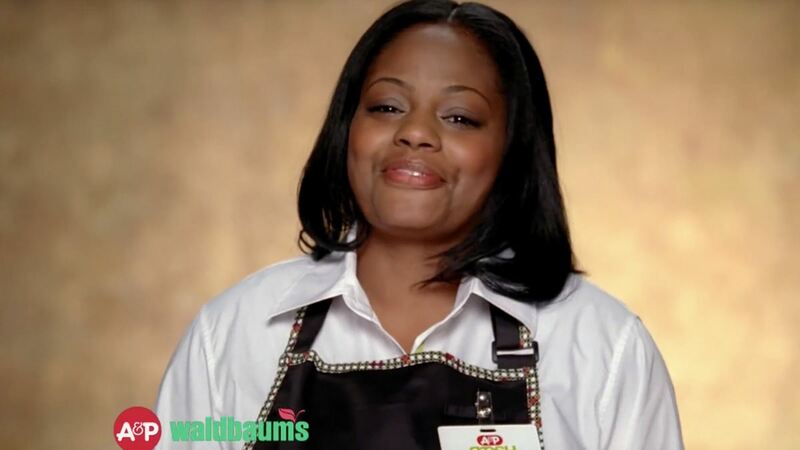 In supermarkets, the name of the game is frequency of visit. 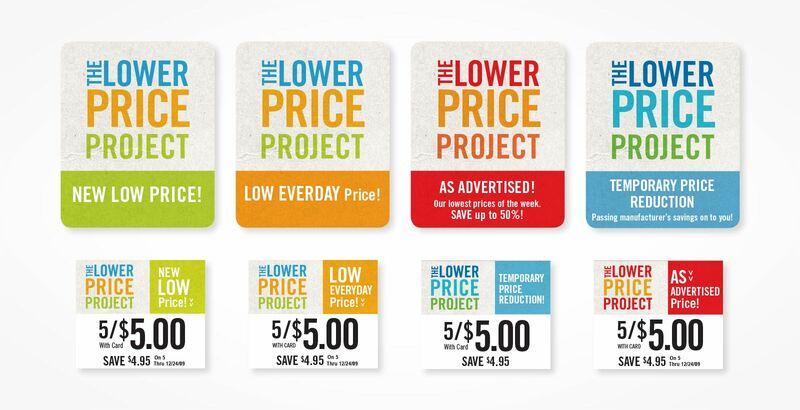 Our challenge was to restore pricing credibility with customers—even though A&P was late to the party on price rollbacks—so that shoppers would begin to trust the company’s pricing and put the store back on their considered list. And to give customers credit for initiating this move, the campaign cut line? 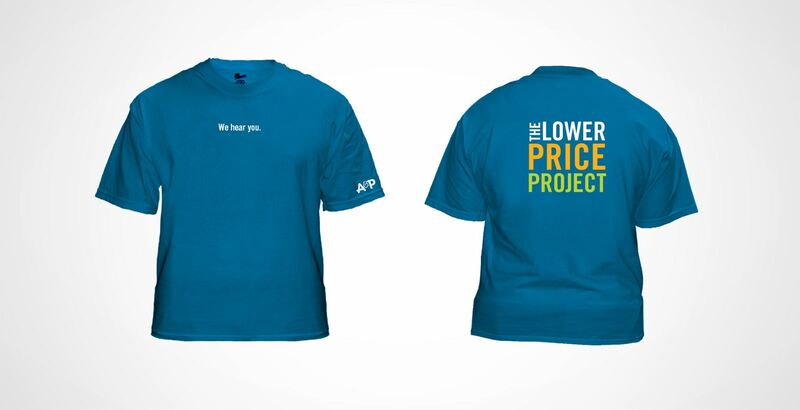 HEILBrice developed The Lower Price Project for A&P. 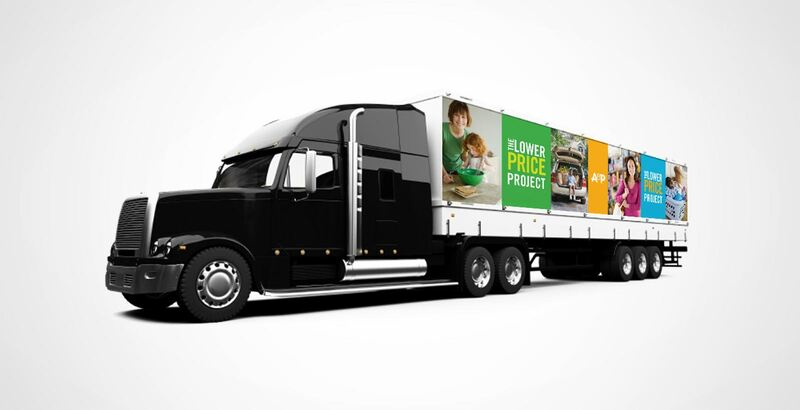 It was the largest pricing initiative in The Company’s 150 year history. 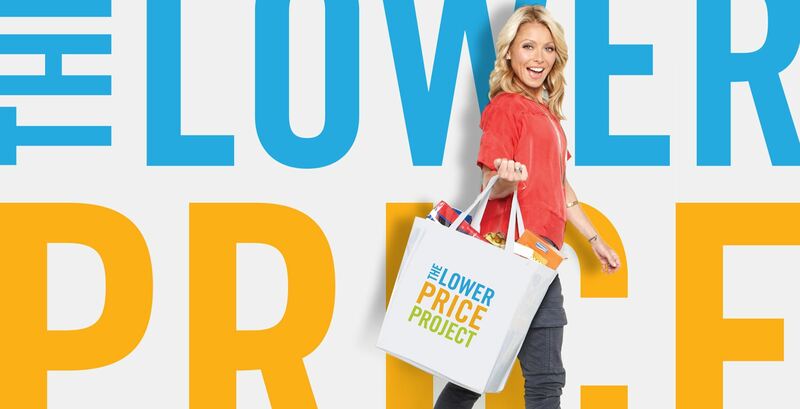 Broadcast and print creative for the effort Featuring popular TV host and local native Kelly Ripa we implored consumers to get in on the savings. Kelly’s bold, vibrant and local personality really came through in ever touch point, from a refreshed web site to point of sale. 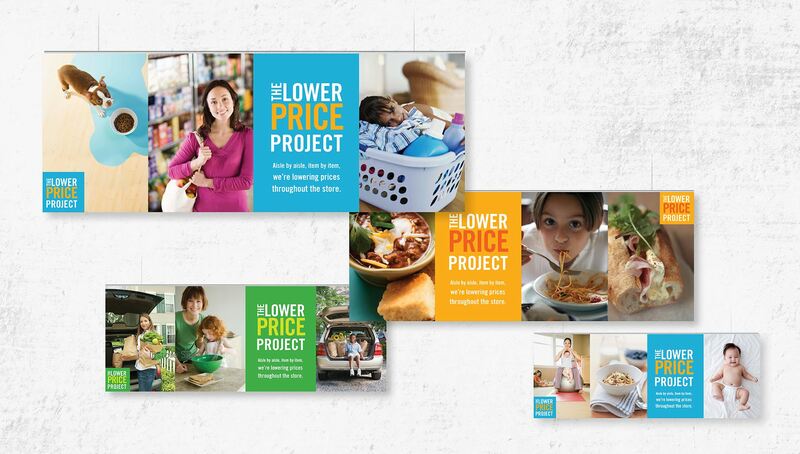 This is by far the most comprehensive package we’ve put together in more than 25 years working with supermarkets. Every consumer touch point is included: Broadcast, digital, print, search and in-store from the parking lots all the way down to the pricing tags on the shelves. 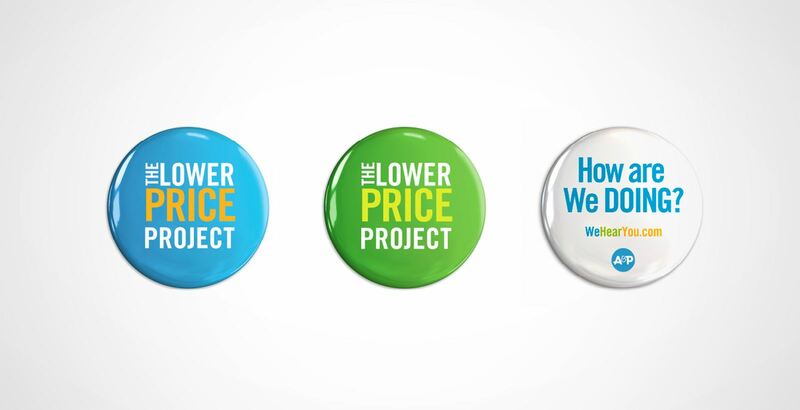 The Lower Price Project was felt everywhere. 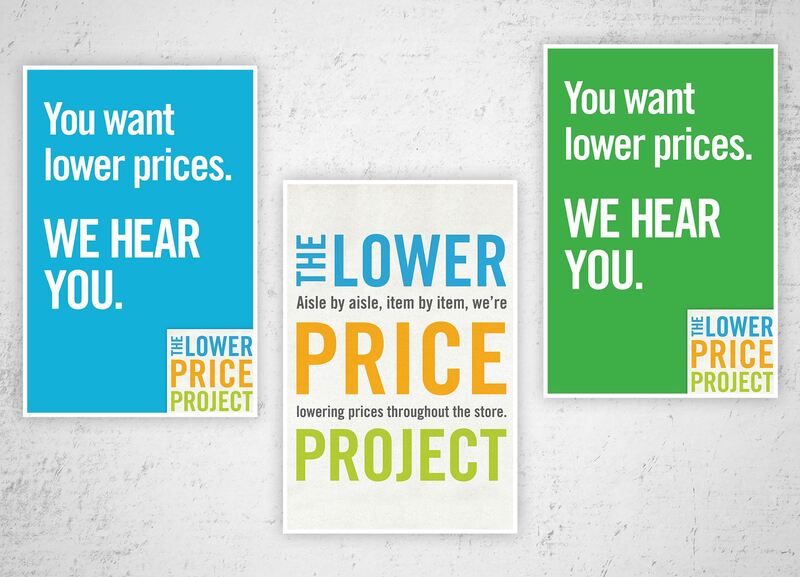 Research tells us that customers don’t understand USDA ratings like Select, Choice, and Prime. The singular word that stands for meat quality: Angus. (Thanks Black Angus Restaurants.) 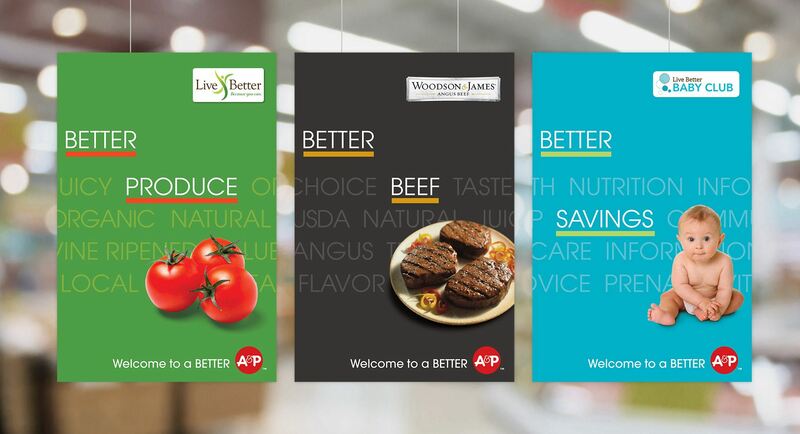 A&P determined that they could source a line of true Angus steaks and we created The Woodson & James brand to support the new products. Captain John’s Seafood was a label developed by A&P in the 1920’s and named after the CEO of the company, who was an avid sailor. The brand faded from use in the 1970’s, but was ripe for a re-birth. Captain John’s Seafood was named in the 1920’s after the CEO of the company who was an avid sailor. The brand faded from use in the 1970’s, but was ripe for a re-birth. 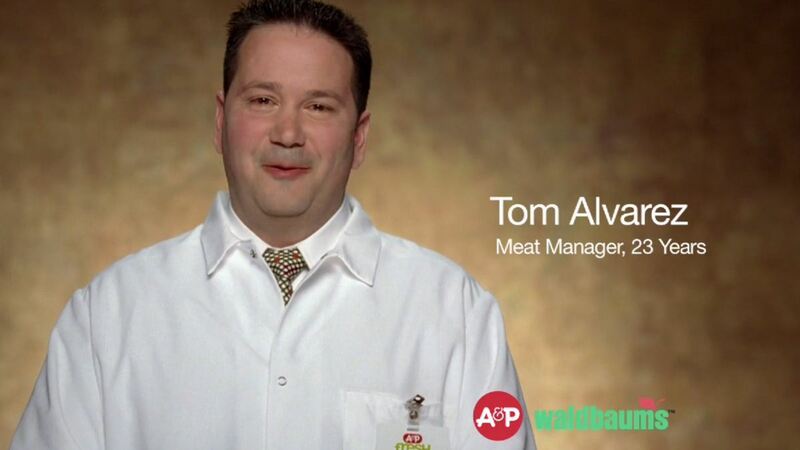 We produced more than 20 commercials for A&P in the span of just 2 years. Our nimble production team and vast experience allows us flexibility to maximize any size shoot with the same quality, world-class creative and efficiency. Here is a variety of some of the broadcast we produced for A&P. 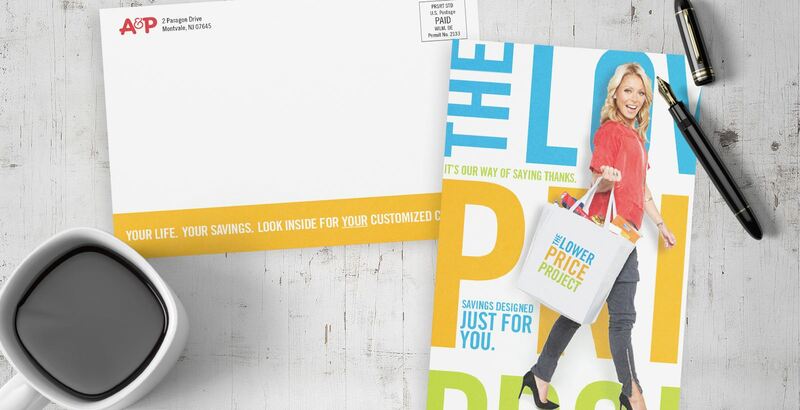 We executed several promotions and activations for A&P. 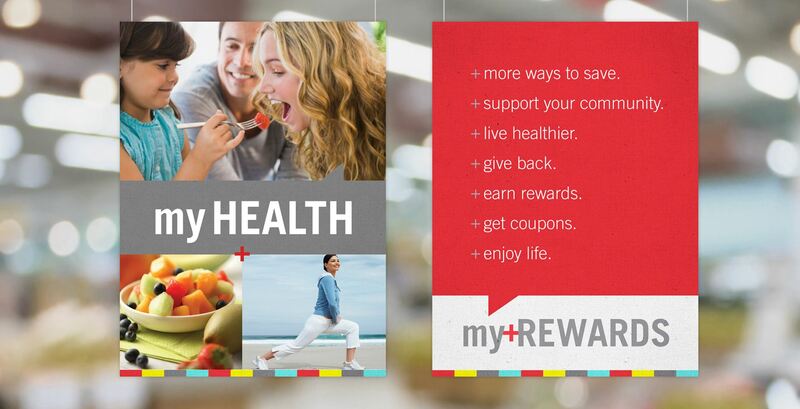 Including a rewards program, seasonal promotions, online delivery and our most expansive Health & Wellness program ever. These promotions consisted of broadcast, print, digital, in-store and every touch point that A&P’s customers interacted with the brand. 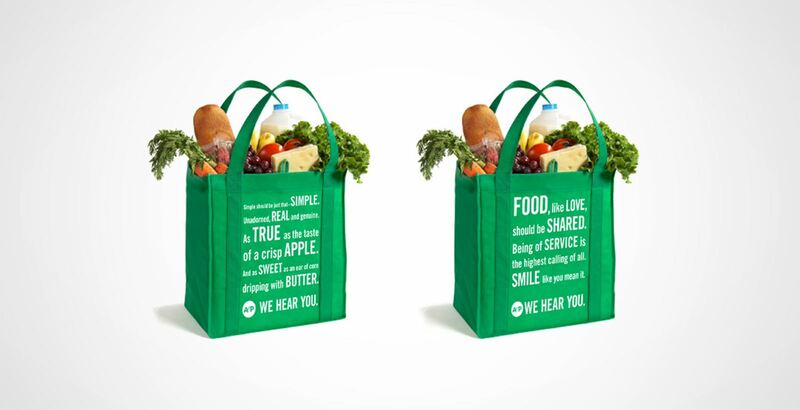 Digital and Delivery are become more and more prevalent in the grocery category. 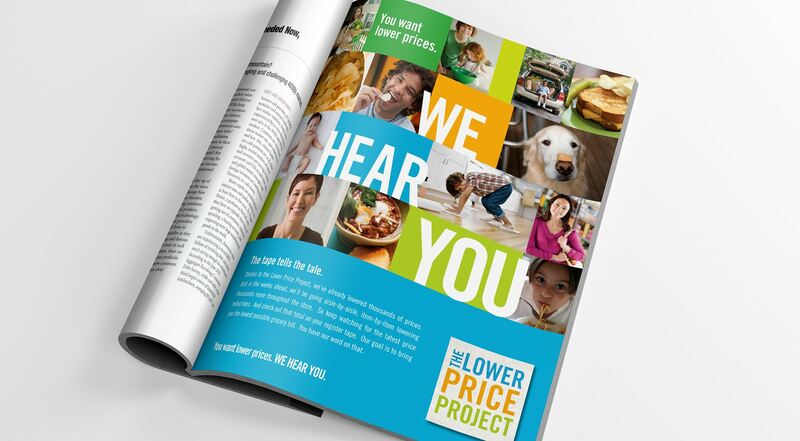 We helped A&P launch an online delivery in-store and advertising campaign before the trend had even kicked off. With our years of experience in the grocery category we know how important the holidays are for improved sales and acquisition of customer loyalty. We wanted to make sure A&P stood out amongst its competitors in this highly competitive time of the year. We had several ideas but the one we knew was a winner was HOLISALEABRATION. As digital was exploding in the grocery category we saw the need for A&P to expand it’s digital footprint. 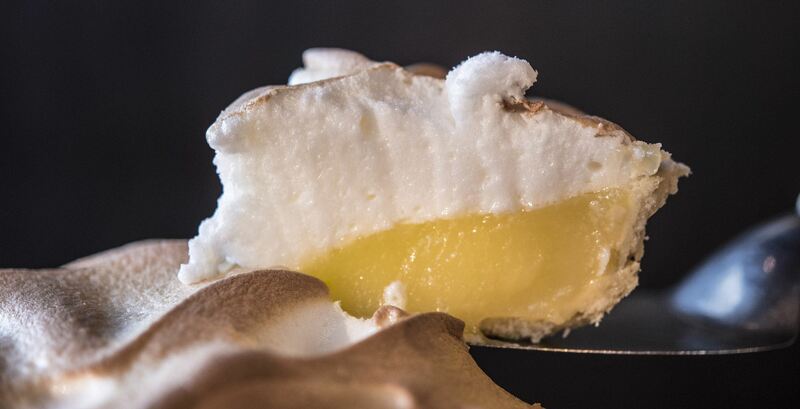 We helped launch an assortment of microsites to help promote different parts of their offerings including baby, pets, and chefs to provide new and fun recipe ideas.